Mealtimes are a social and fun experience. Our tavo high chair pulls right up to most standard height tables (no need for a tray) so that your child can be part of the family meals. 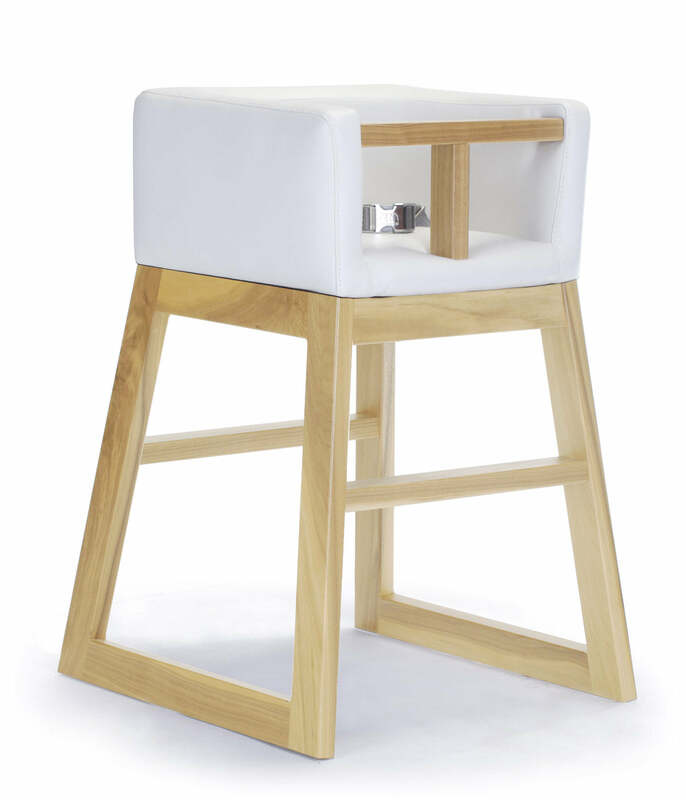 Unlike most high chairs, it will blend seamlessly into your kitchen or restaurant to meet your need for great design and streamlined living. Top of back to seat: 6.5"
YOUR DELIVERY WILL BE PLACED INSIDE YOUR FRONT DOOR ONLY, unless "Room of Choice" service was ordered for an additional fee. If for any reason you would like to return your Monte High Chair within 14 days after receiving it, we will refund you the purchase price less a $49 return fee. Our Enviroleather fabrics are soft, stain-resistant and super easy to clean with just soap and water. This leather like fabric exhibits commercial grade durability and is resistant to peeling, cracking and delamination. Enviroleather is designed to have minimal impact on the environment and to limit people’s exposure to harmful toxins.